Take a look at how a few of the area’s athletes did this week and choose your favorite performance. 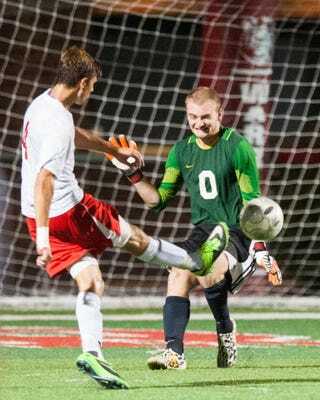 Susquehannock senior Alex Rebich (4) beats Gettysburg goalie Michael Heeschen (0) in the second half during a boys soccer game on Thursday, Sept. 11, 2014. Susquehannock won 3-1.